January 1, 2016, a day many of us make and start our New Year Resolutions. It is also our Safety First Day of the Month/Year. Combine the two and make a resolution that is simple to keep, it's healthy, inexpensive and may save lives. Make a Resolution to remember the Safety First Day of the Month. Every 1st of every month is designated as the day to test your smoke and carbon monoxide (CO) alarms to ensure they emit that life saving alert. Simply press the test button on the front of the alarm. 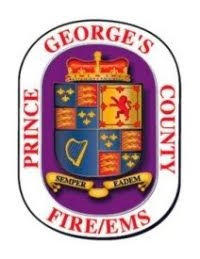 Lets make a New Year Resolution we can live with and PGFD will help by reminding you every month. This New Year Resolution just may save your life and loved ones. Finally, it is so simple to keep!!! "I resolve to test my smoke and CO alarms on the first day of every month." Inspect cords and bulbs on electrical holiday decorations as you take them down to store away. If cords are frayed or have wires showing, discard them now and purchase new ones later. No good reason to try to get “just one more year” out of damaged decorations when you consider the consequence of a home fire. While we have enjoyed warm than normal temperatures in December the forecast calls for colder weather this month. Give space heaters space (at least 3 feet away from anything that can burn). Turn off space heaters before you go to sleep and never use an extension cord with a space heater.